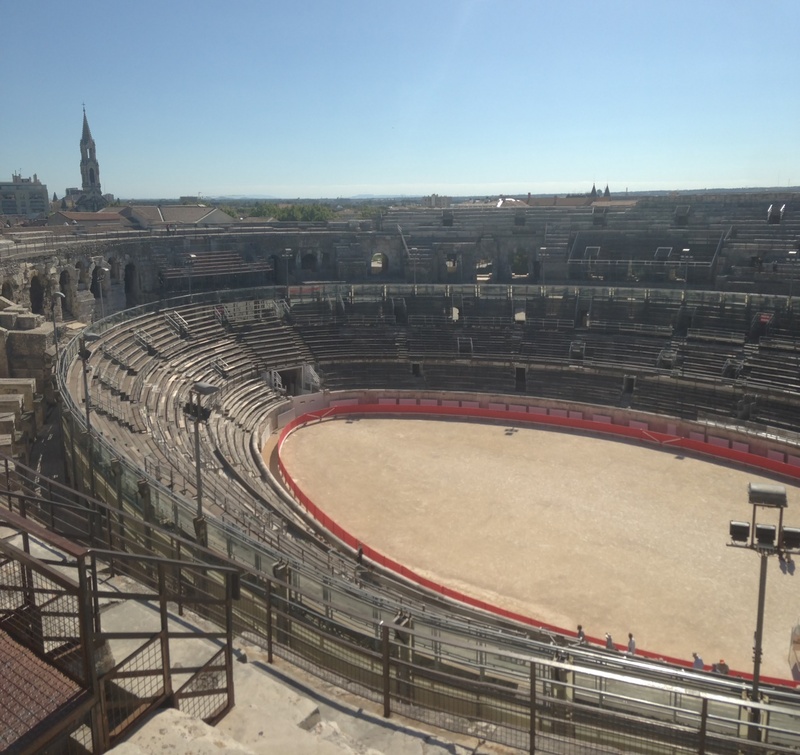 History of Nîmes at a glance. Located near the Mediterranean Sea in the Languedoc-Roussillon region in France, Nîmes is the capital city of the Gard department. This city has a very long and rich history due to its heritage from the Roman Empire. The Romans settled here when they were constructing the Via Domitia road between Spain and Rome. 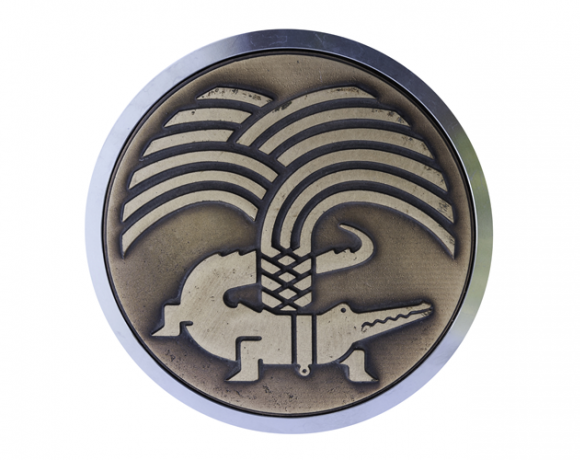 The coat of arms of the city, the ancients texts, sculptures and earliest coins reveal, by the abbreviation “NEM. COL” which they bear, that Nîmes became a colony of Rome around 28 BC. 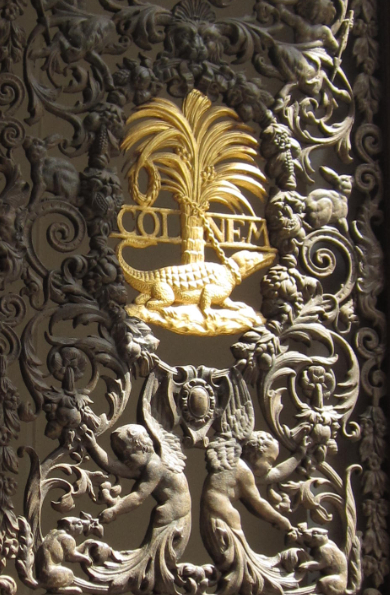 “NEM.COL stand for “Colonia Nemausensis” which means the colony from Nemausus. Nemausus is the god of the sacred spring located in the garden “Jardin de la Fontaine” and which originally provided all the water for the city of Nîmes. It is a city with a very old history, punctuated by several wars, invasions and destructions. 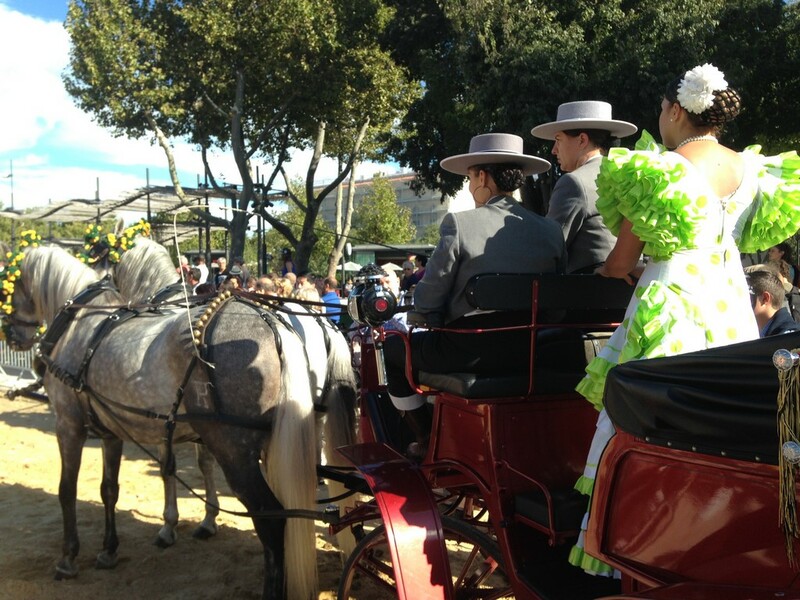 It finally become from the 19th Century to now, a beautiful and fascinating city thanks to an outstanding refurbishment of its monuments, historical center, its Cultural Festivals such as the Feria and more than anything its captivating Mediterranean charm! 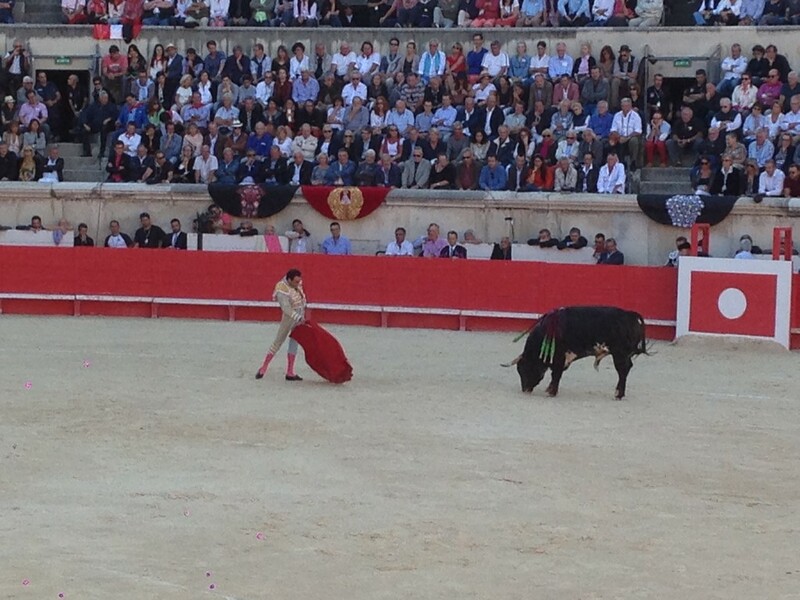 In 700BC Nîmes is a fortified village with an opidum on the Mt. Cavalier (the mount on top of which there is the actual Tour Magne) inhabited by local Celtic tribes, it is one of the main Mediterranean opida. 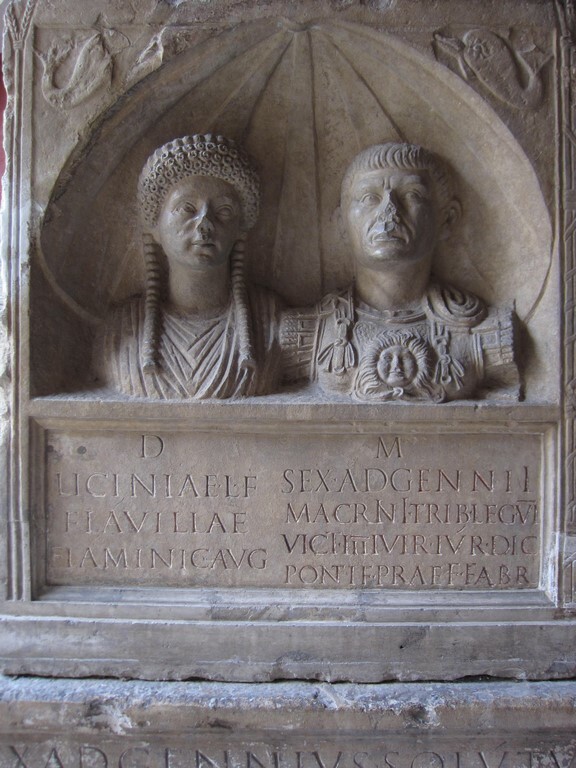 In 100BC the victory of Cnaeus Domitius Ahenobarbus et Quintus Fabius Maximus against the Avernis will seal the destiny of the city to Rome by an military protection against the surrounding tribes such as the Teutons and the Cimbris. Along the war of Gaul and the fall of Massilia (Marseille) somewhere around 27BC The Emperor Augustus (Latin: Imperātor Caesar Dīvī Fīlius Augustus) officially set up the colony of Nîmes (Latin: Colonia Nemausensis). 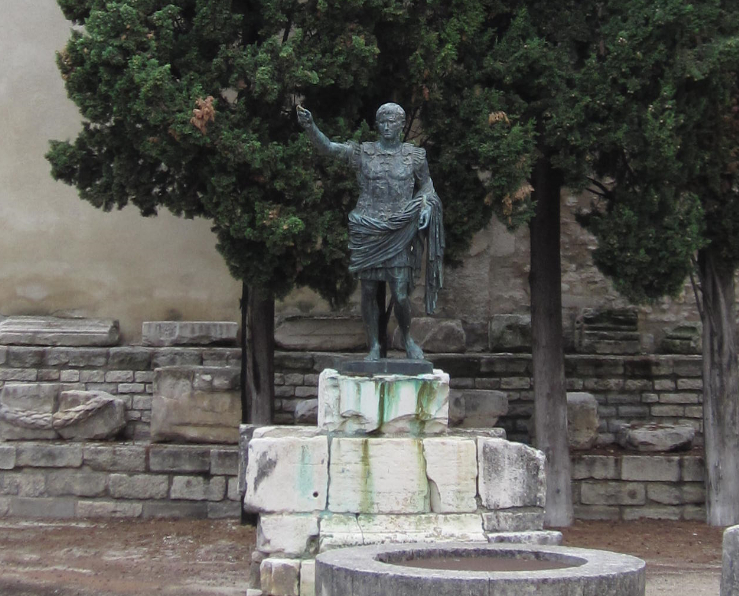 In 30BC the emperor Augustus give Nimes all its glory by making it the capital city of the Narbonne province. In Augustus time, the city’s population was an estimated 60,000. The Porte de France and the Porta Augusta (“Porte d’Auguste”) are the two gates remaining of the six kilometers long ring of ramparts reinforced by another 14 towers. In 15BC, in order to show their supremacy over the locals and the potential invaders, the Roman built up along the ramparts on the top of the hill of Le Jardin de la Fontaine a massive watchtower named la Tour Magne. The Tour Magne was much smaller than now and it is constructed on this hill, as a part of the ramparts, because it is the highest point of the city. Later the city of Nîmes became so developed and prosperous that the Emperor Augustus to show is power and for obvious military reasons decided to upgrade the Tour Magne with much thicker and octagonal shape walls as well as a taller top. Nîmes was one of the richest and most defended city of the Roman Empire. Regarding infrastructures and monuments build up by the Romans, twenty kilometers north of the city, the spectacular Pont du Gard was built between Uzes and Remoulins. 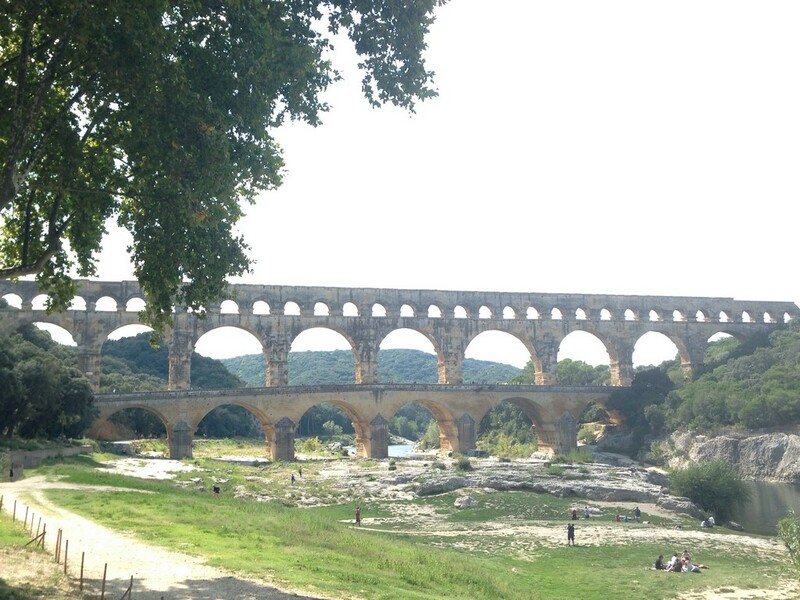 It is a gigantic aqueduct built to carry a water canal to the north from the hills crossed by the River Gard. A wonder of Roman architecture, this 2000 years old marvel stands tall as a living example of brilliant Roman engineering. Built with no mortar, the Pont du Gard is one of the most splendid and oldest bridges to have survived for so long, in such a good shape. The visible part of the bridge measures an astounding 48.77m in height and has been constructed in three levels. There is much debate on when the bridge was originally constructed. Few archeologists argue over periods of construction being in between 20BC but few have estimated it to be in between 40AD to 60AD and it is earthquake resistant thanks to its complex structure that stay strong by gravity. The Pont du Gard will bring the water into the city of Nîmes by bringing it into the Castellum Divisorium water tank which is distributing the water into the different districts and houses thanks to a modern system of holes and tubes. Some other structures of note that were in the city include a curia, a civil basilica, a gymnasium, maybe even a circus, and the amphitheatre which dates back to the 2nd century AD’s end. There were baths, Emperor Constantine’s endowment of the city which was also to become the Chief Administrative officer of Southern Gaul, the Diocesan Vicar’s seat. Nîmes is a city well-known for the several remains (still in excellent states of preservation) of the Roman Empire. This includes the arenes de Nîmes a 440 by 330 ft (i.e. 135 by 100 m) ellipse, known as the amphitheater, which stands 69 ft (21 m) high. 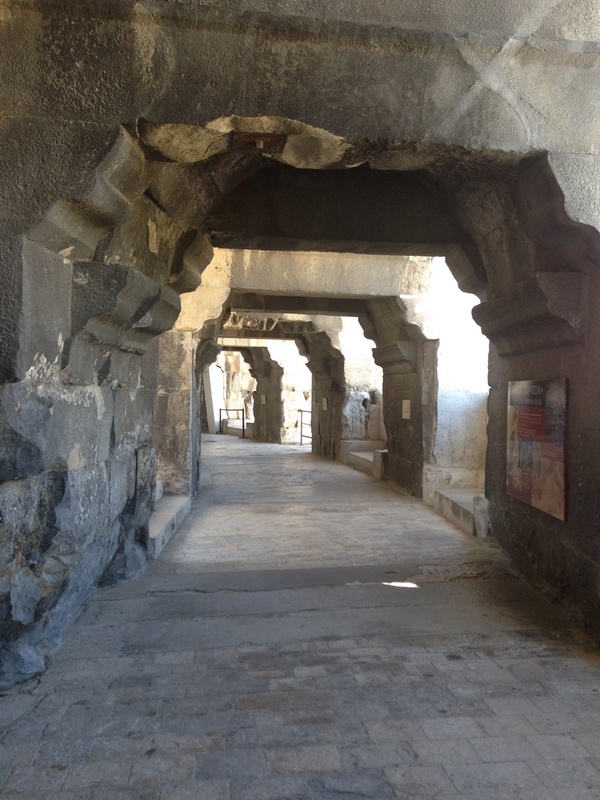 Built of large stones from a quarry nearby and assembled without mortar, its exterior presents the aspects of a double row of 60 arches that is surmounted by an attic. Its initial use was for naval spectacles, chariot races, and gladiatorial shows. 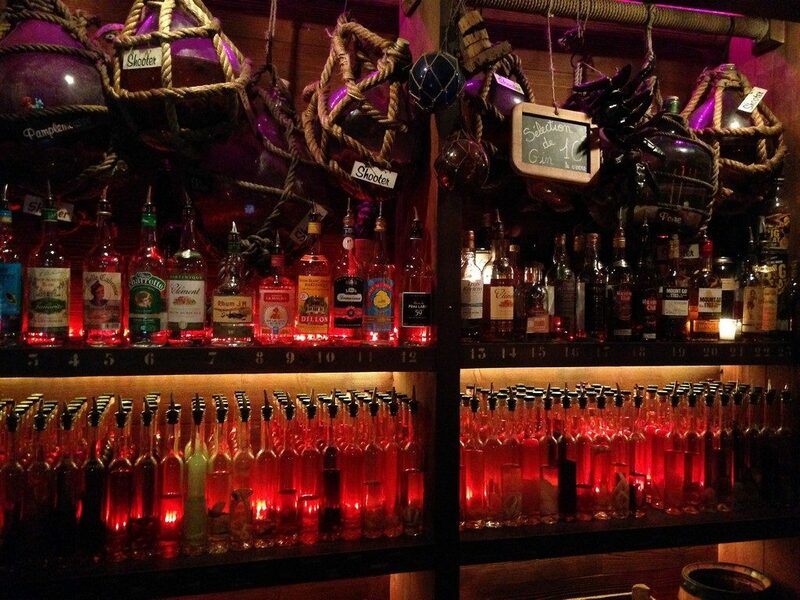 Later, the Visigoths’ used it as a fortress in the 5th century. 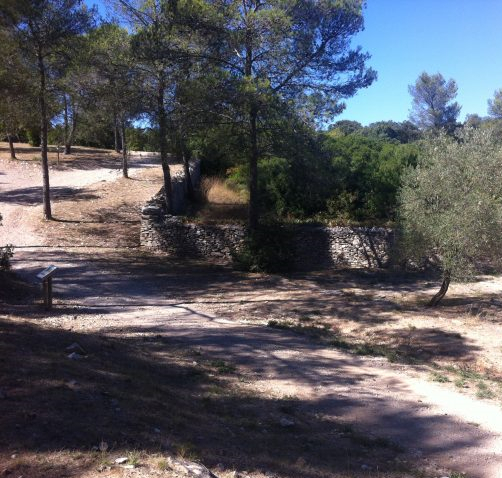 It is currently used for bull fights (corridas), bull games (courses camarguaises), Roman games, music concerts etc… after being cleared of buildings (houses and even a church built inside it in the Middle Age) in 1809. It has had a checkered history but is still among the best preserved amphitheaters of Roman history. 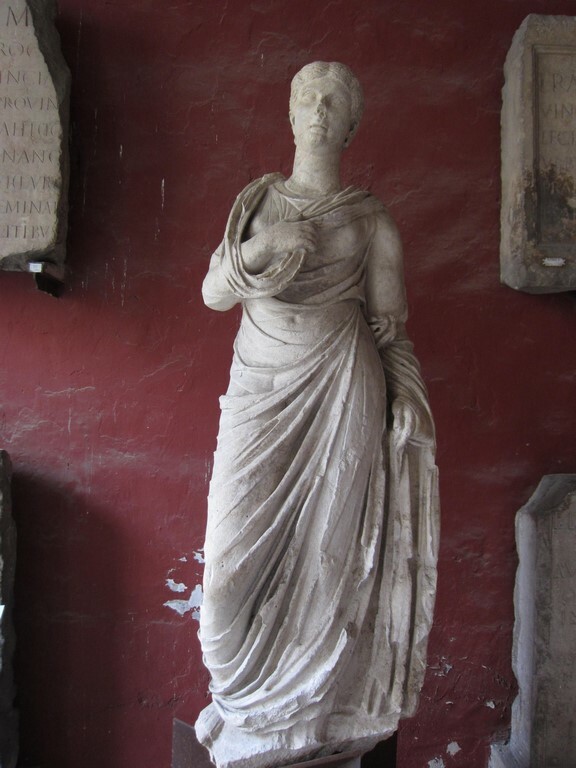 One of the most beautiful monuments ever built by the Romans in Gaul is the well-known 1st century AD Maison-Carrée. It is also the best preserved Roman temple. The rectangular temple which is 12 m wide and 25 m long was dedicated to the adopted sons (Lucius and Gaius) of the Roman Empire’s first Emperor, Augustus. Through the ages, it has had several uses (as stable, private house, town hall and church) like the amphitheatre, and currently houses a collection of Roman sculptures. 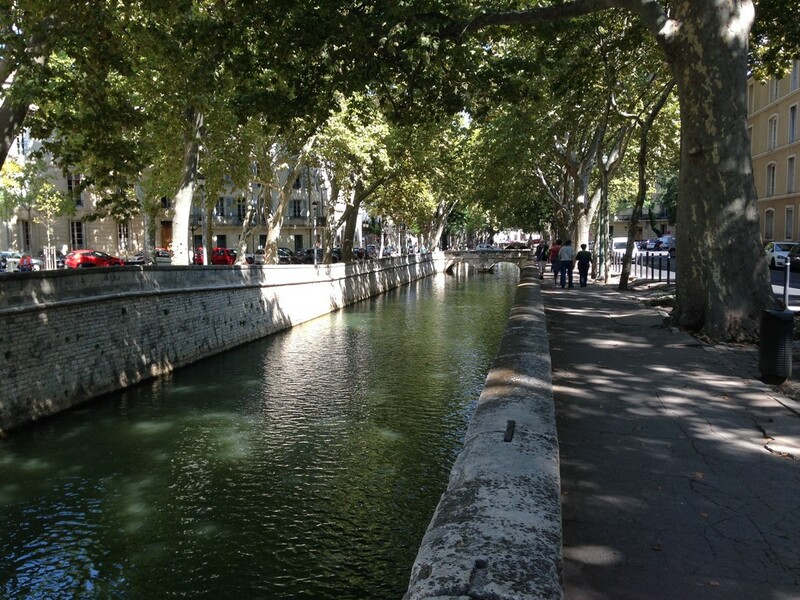 Right on the city’s edge is the beautiful 1745 designed Jardin de la Fontaine. Together with the canals flowing through it, the fountain is partly Roman. There is a nice collection of some Iron Age artifacts and Roman objects in the Archeological Museum now housed in what was a Jesuit college in the past. Until the end of the 3rd century, Nîmes enjoyed prosperity while the nearby town of Arles prospered more during the 4th and 5th centuries. 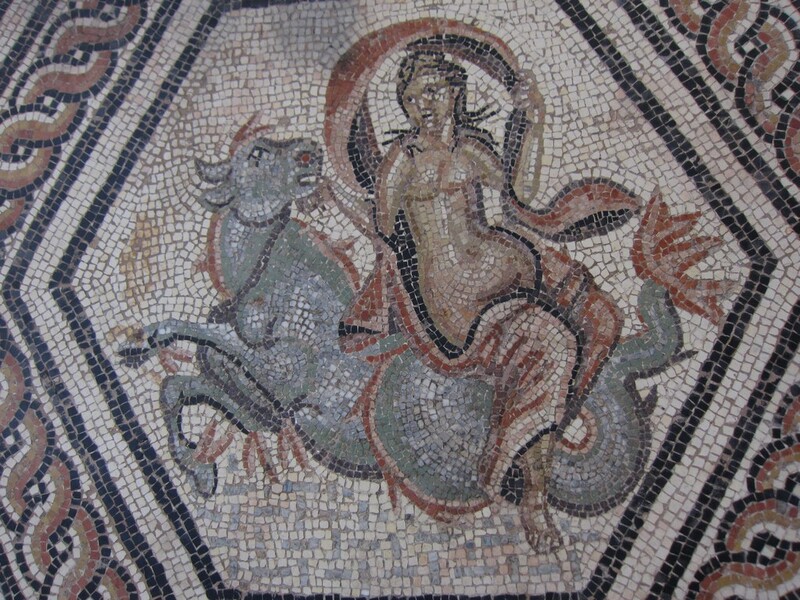 The Praetorian Prefecture was moved from Trier (northeast of Gaul) to Arles. In 473 AD, the Visigoths captured the city from the Romans and together with the Vandals, plundered it in the 5th century. The Saracens (Arabs) in 719 invade the entire region of Septimania going from the border of Spain to Arles. They are driven out by an expedition led by Charles Martel over the region in 736. Unfortunately, the violence of the fights will lead to the destruction of most of the monuments of Nîmes making it a minor city in France. At the 12th century, the arena become a castle for the Viscount of Nîmes. 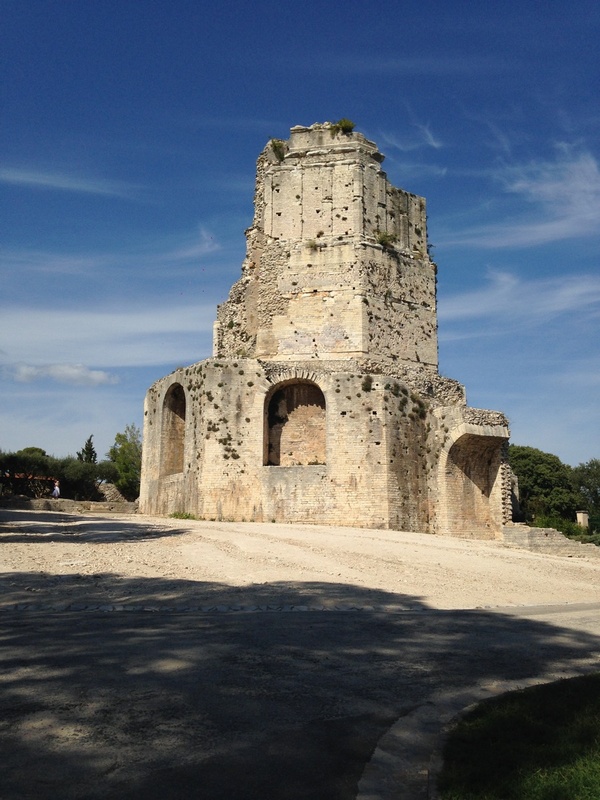 We will notice that it is the king Francois the 1st at the beginning of the 16th century who after a visit in Nîmes, will be the 1st person to ask to restore the monument and remove all the constructions that were settled inside. The city passed to the counts of Toulouse and became joined to the French crown in the 10th century and 1229 respectively. The relative peace brought by the Carolingian start to disappear due to troubles brought along by the feudal system which lasted until the rule of St. Louis. 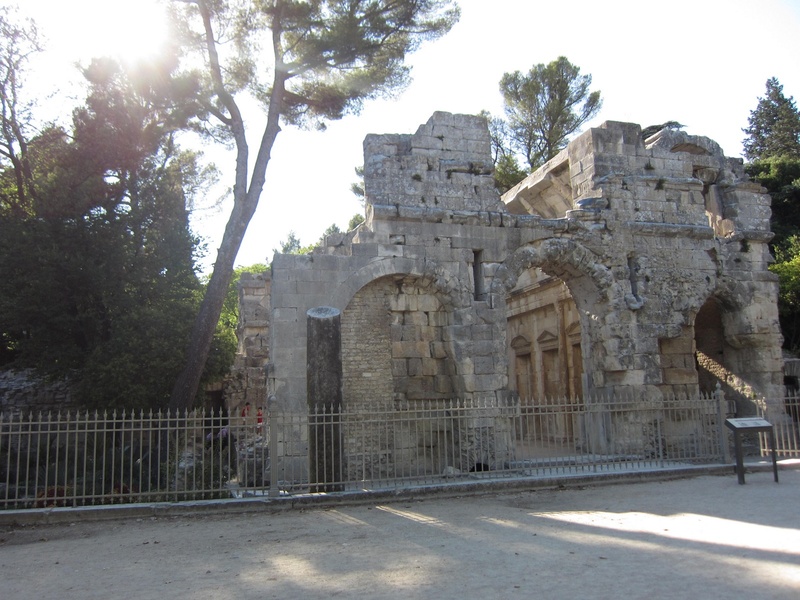 In 1263-1278 the Dominicans and the Lombard merchants settled down in Nîmes. At the end of the 12th century the Jewish are persecuted until getting kicked out from the city in 1306. Overwhelmed by local taxes the Lombards also leave in 1360. Later on, several invasions including wild and violent raids organized by Muslims pirates along the cost of the Mediterranean littoral, took place in the 14th and 15th centuries to finally lead for a few century to the destruction of the local prosperity and economy. Then epidemics and the wars of Religion came along. Nîmes was largely Protestant during the Reformation and suffered persecution after the Edict of Nantes (that once accorded the Protestants a measure of religious liberty in 1598) was revoked in 1685. It is a civil peace that will soon be broken by the French Revolution. The city’s population grew immensely, from 21,000 to 50,000, in this period resulting in the expansion of the town and replacement of slum houses with the reconstruction of numerous mansions (Hotels), the Bishop’s Palace and the Notre-Dame-Saint-Castor. It enjoyed prosperity in the middle of the 17th century and also the laying out of the Quais de la Fontaine, “the Fountain gardens”. While the population enjoyed this prosperity, the areas around the Amphitheatre and the Maison Carrée were cleared of all encroachments. The industrial and manufacturing vocation of the city was strengthened by the “renaissance”. 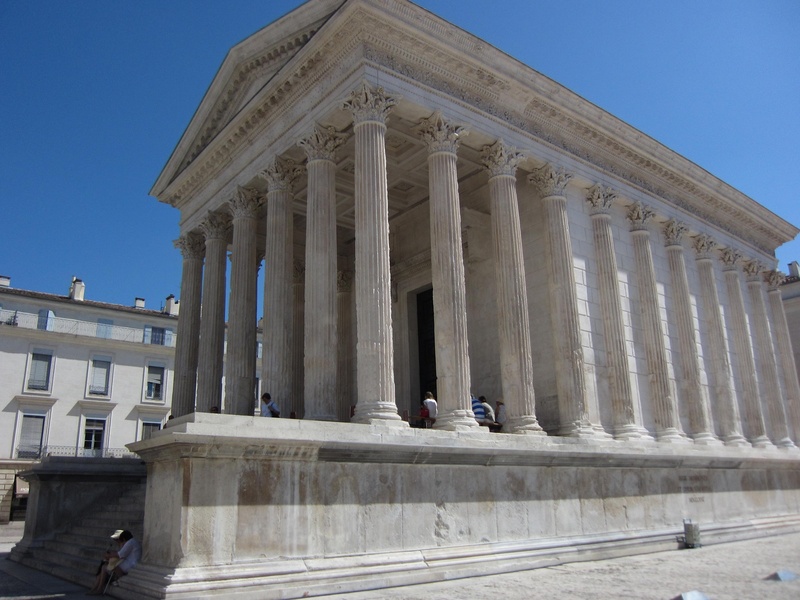 Nîmes tries to become a prosperous city despite the damages that was brought by the French Revolution as well as the pillages and assassinations that come along with the White Terror in 1815. The 19th century will also lead to a thriving textile industry in the Region. 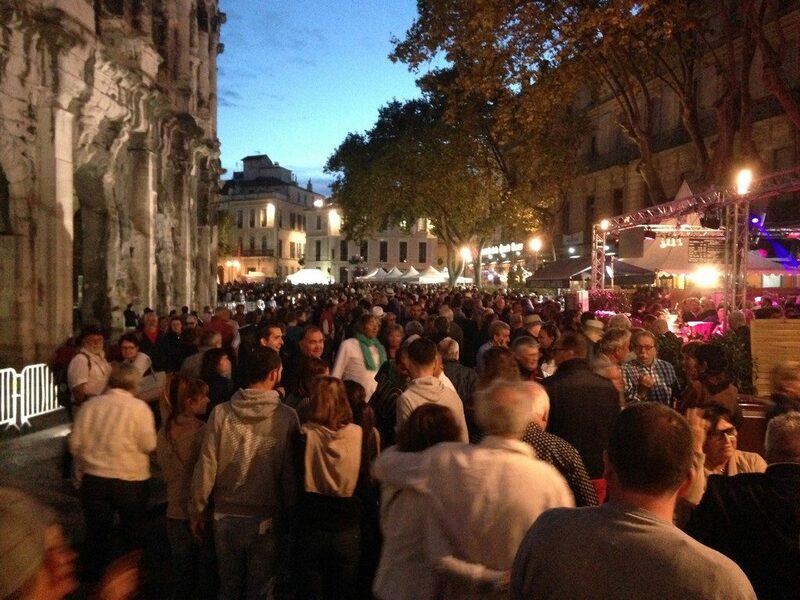 It is at this time, in Nîmes that the Legendary Denim Jeans Fabric is created. The word Denim in French means “From Nîmes” and it was made in the beginning for local farmers and for the shepherds from the Cevennes region (Northern part of the Gard Department). Then some rich trading protestant families started to export the Denim fabric to the U.S.A. dealing directly with people such as Levi Strauss. This is the beginning of the outstanding story of the blue Jean. In the 19th century, the coming of railways made Nîmes a prosperous city again, though it was damaged in the fight between the Bonapartists and the Royalists in 1815. 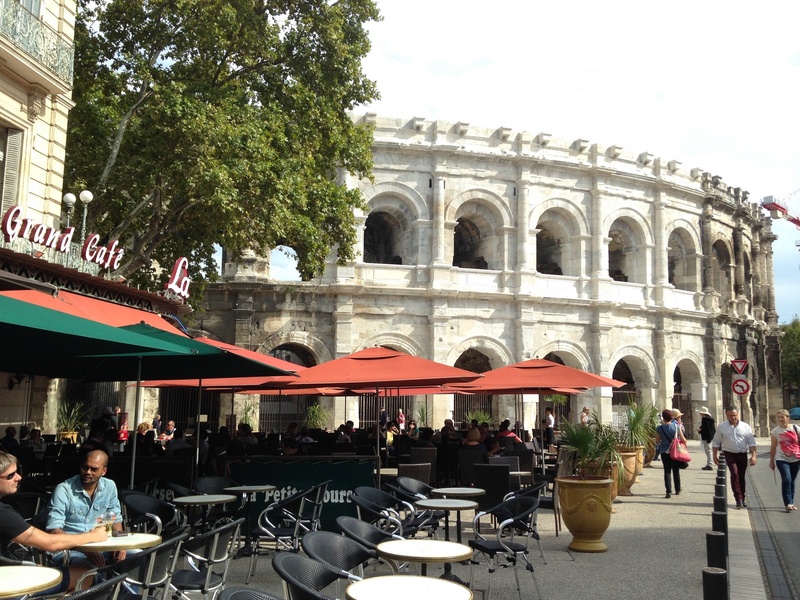 Since the 1960s, the city of Nîmes has expanded considerably. During the post-war economic boom, a large wave of national and international migration moved to the city. Much of the population it attracts comes from its rural hinterland, other French regions as well as from abroad, most notably Indochina (Laos, Cambodia, Vietnam) and North Africa following Algeria’s independence from France in the 1960. 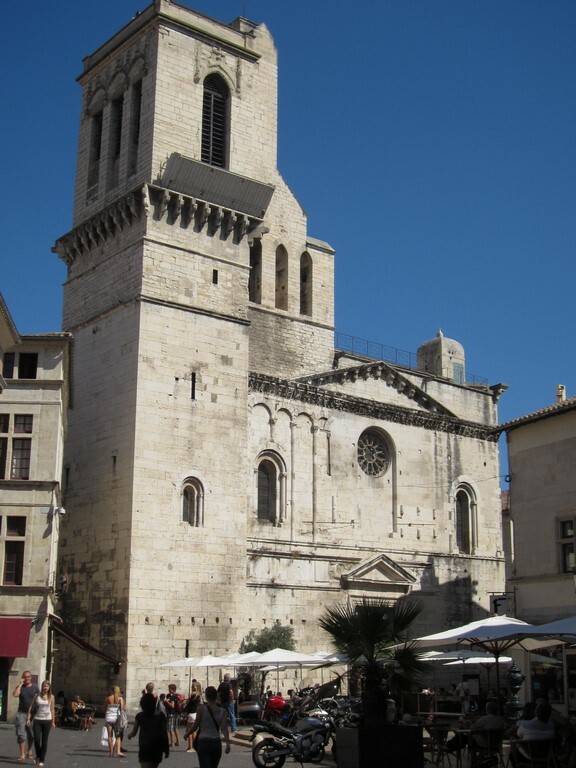 Same as several close cities like Arles, Montpellier, Marseille, Nice etc… Nîmes population grew drastically and turned into a cosmopolitan city followed by an important economic and geographic growth. Service and administrative activities dominate its economy. 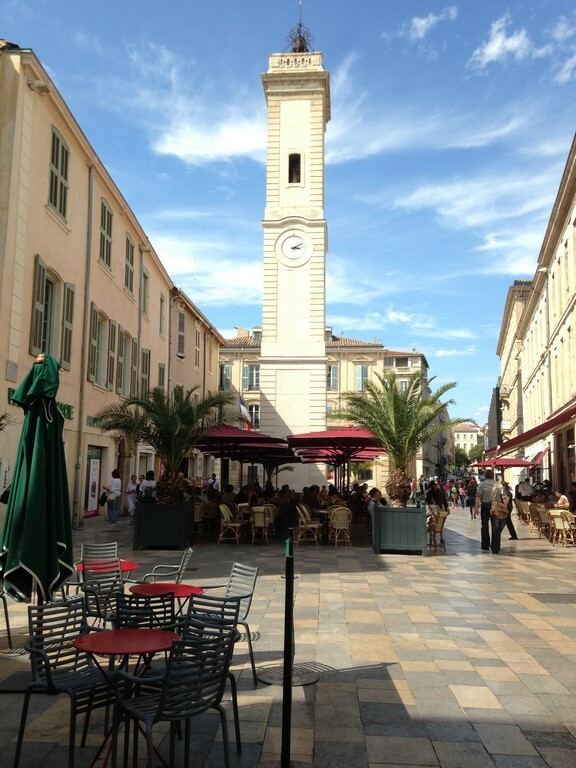 Refurbishment of the city’s center has added to enhance its tourist appeal. The city saw also a marked rise in international tourism from all over the world. 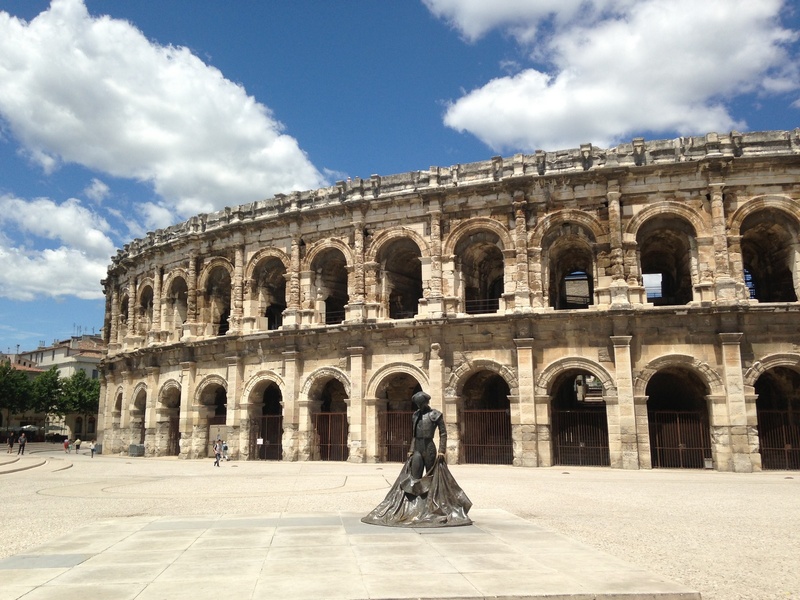 Nîmes remains a tourism centre with the amphitheatre, le Jardin de la Fontaine, la port D’Auguste, le Pont Du Gard, la Maison-Carrée and many other point of interest including the world famous festival Feria de Pentecote and Feria des Vendanges. The rest of the city is fascinating and just beautiful with gorgeous pedestrian streets, squares, gardens, cafes, shopping malls etc… everything is here for visiting and for living a relax and comfortable life. However, there has been a decline of traditional industries including shoes, clothing and textiles partly due to the massive migration of the local companies overseas seeking for a low cost work force. Mechanical and food processing are some other industrial activities too, amongst the flagships of the very local companies we can mention Royal Canin and the world well-known Perrier sparkling water located in the village of Vergèze, few kilometers away from Nîmes. 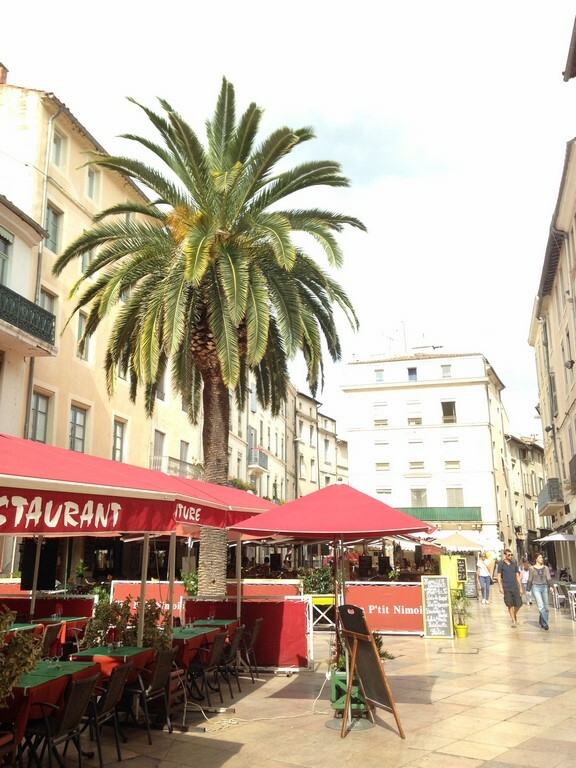 Regarding rail transportation, the city of Nîmes is a vital crossroads thanks to the high speed train TGV that shorten the travel times between Paris and the Languedoc-Roussillon Province. To better coordinate infrastructures, transport, communication and economic development between Nîmes and its surrounding independent suburbs, the Community of the Agglomeration of Greater Nîmes (communauté d’agglomération Nîmes Métropole) is created in 2001. It is also an efficient way to compete with its eternal rival city Montpellier. The Community of the Agglomeration of Greater Nîmes combines the city of Nîmes and 27 independent communes, covering an area of 678 km2 for a population of 244, 676 inhabitants (as of 2013 census). Not as big and world famous as Montpellier, Nîmes is a little jewel of the South of France, it is big but not “too big” and has this captivating Mediterranean charm coming from its Roman soul, smooth weather, colorful environment, a stunning mix of Spanish and Camargue Culture and its relax way of living.